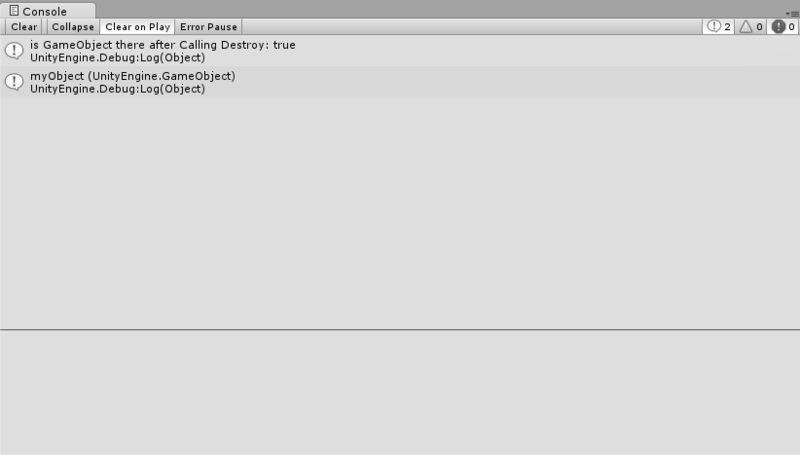 This just destroy the game object passed as parameter. It set all the references to that game object to null at the end of frame. 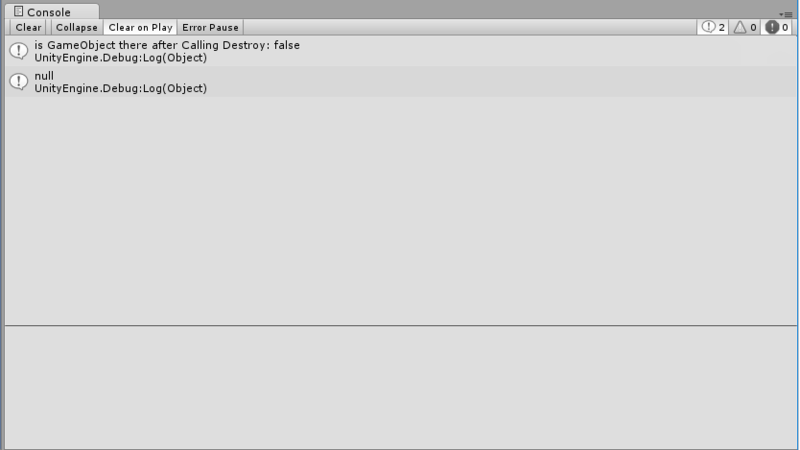 As the name suggest it immediately destroy the gameobject passed as parameter. It set all the references to that game object to null immediately, it will not wait for the frame to end like Destroy() function. Use DestroyImmediate with caution, according to the docs you’re supposed to avoid using DestroyImmediate.